Tyga was photographed earlier today wearing daniel patrick in NYC! 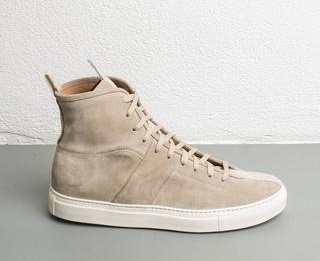 The rapper completed his casual look with daniel patrick's high top roamer in sand ($495, www.danielpatrick.us). Here is another look at the daniel patrick's high top roamer shoe in sand color. Micheal Ray Stevenson, known by his stage name Tyga, is an American rapper.